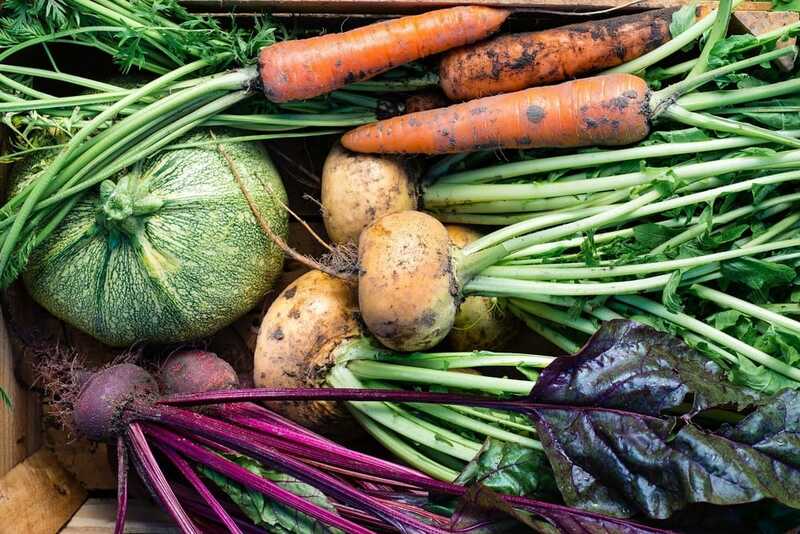 While many vegetables rely on copious amounts of sun to thrive, there are some good examples that don’t need to be baked in the sun all day. By focusing on those vegetables, you can create a healthy and productive garden without full sunlight. This could be very useful if you don’t have a lot of space or the location isn’t ideal to grow sunlight-intensive vegetables such as tomatoes or peppers. No matter your particular situation, it’s good to know that some vegetables can be successfully grown in the shade. The large majority will still need some occasional sunlight, but that’s easily achievable with a yard that’s only partially shaded. 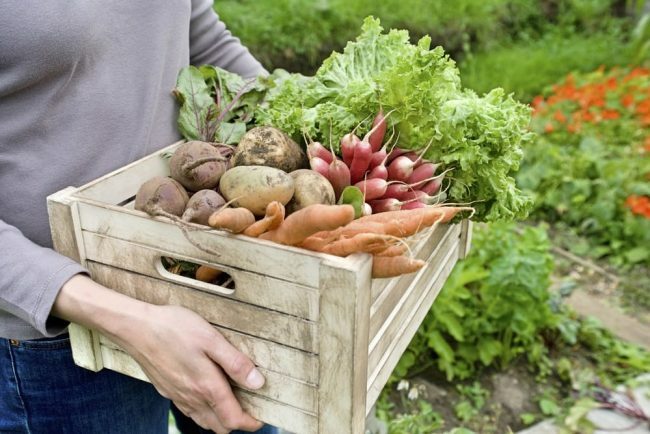 Having no wasted space on your property is ideal when you plan to create a vegetable garden. Consider growing some of the following vegetables that are known to require less sunlight. That’s usually because you use their leaves and roots as opposed to their fruits. 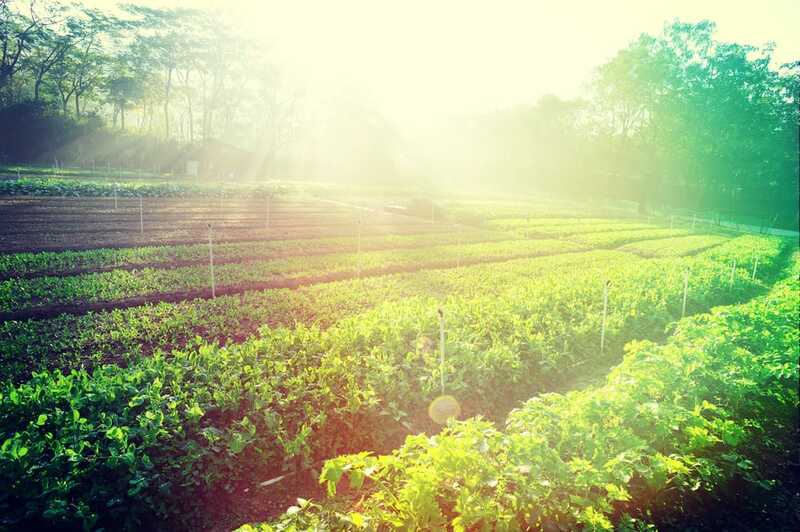 Before looking over at each specific vegetables that you can successfully grow in the shade, it’s important to understand how sun exposure affects your vegetable garden. Some plants will require full sun meaning direct sunshine for at least 6 hours a day. In some colder climates, there’s a need for more than 8 hours for those plants to thrive. Vegetables that can handle partial shade will be able to get by without issues even they are exposed to sunlight for 3 to 6 hours a day. Moderate shade or filtered sunlight can be enough for these vegetables to get their energy needs. It’s not possible to grow vegetables in full shade as all plants need at least a minimum amount of light to flourish. This is a root vegetable that will surprise you when it comes to thriving in partial shade. 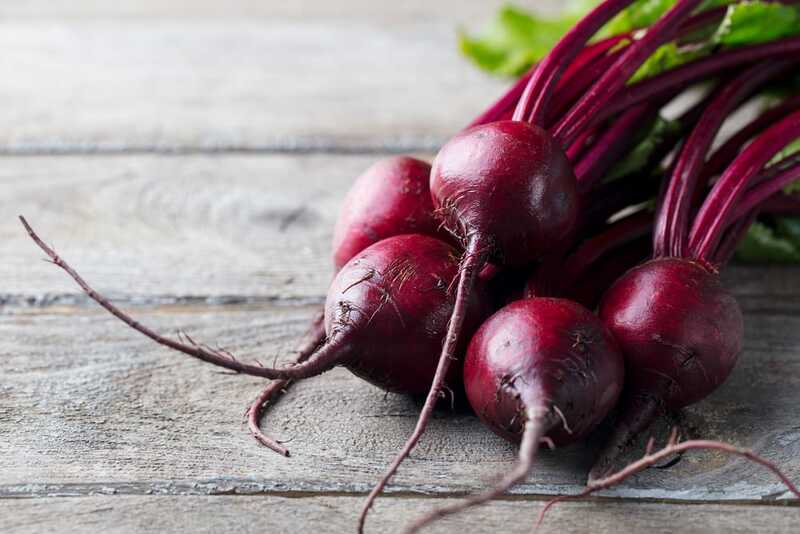 The plant can still produce beetroots without too much sunlight, but keep in mind that the amount of shade will have an impact on the actual size of the vegetable. The good news is that green leaves full of antioxidants will still grow in shaded conditions so beets are recommended vegetables for a garden that doesn’t get full sunlight. Space limitations won’t pose too many issues for beets as they can also handle deep containers. 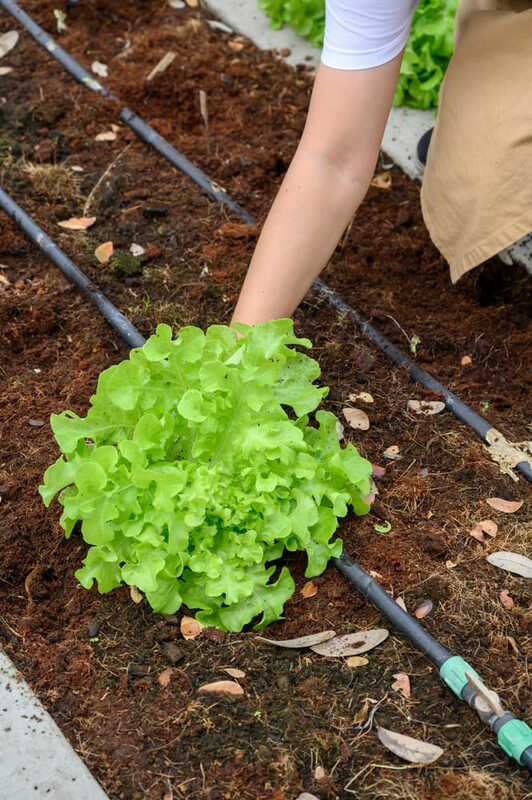 With plenty of water, this plant will definitely produce tasty vegetables even in partial shade. Beans are nutritious vegetables that can be grown in an almost effortless manner. 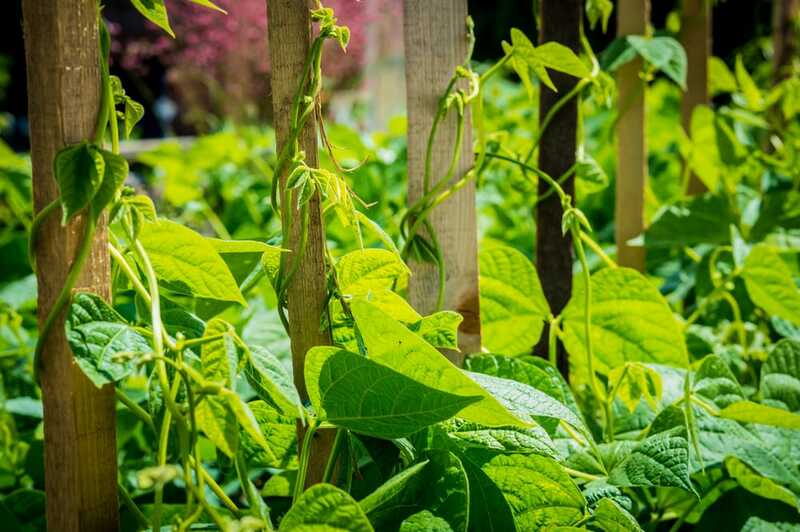 Certain varieties of bush and pole beans can handle more difficult conditions in terms of shade and won’t impact your garden when it comes to space needs. Growing bush beans from seed is quite simple. There’s also an advantage of growing this vegetable in partial shade given the extra protection of the delicate beans from excessive sunlight. A very tasty type of cabbage, the Chinese variety is one highly recommended option to include in your shaded garden. 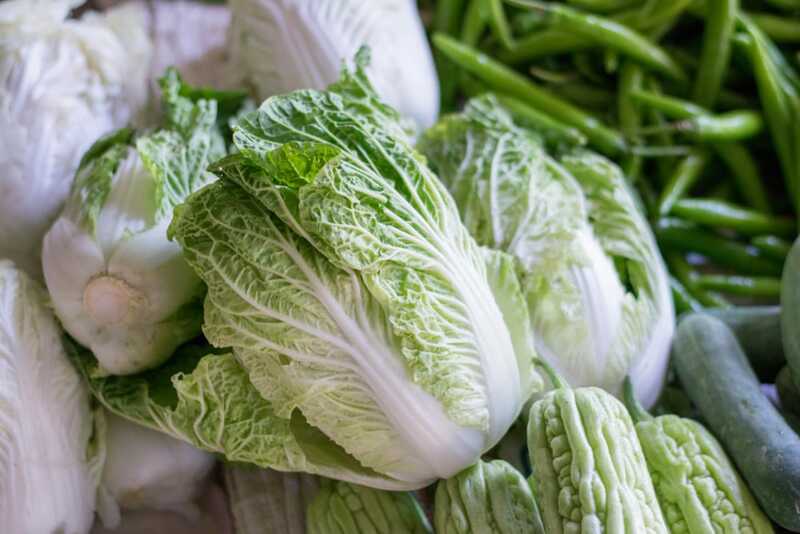 As long as it gets plenty of water, the Chinese cabbage can be successfully grown even on just 4 to 5 hours of sunlight per day. While it does take some time to grow this vegetable, it can be a rewarding experience to do so given the versatility of this type of cabbage in the kitchen. Broccoli is a very shade-tolerant vegetable and you can use it to decorate the shadier edges of the garden. There are lots of colorful varieties so you can count on it to make your vegetable garden livelier. Broccoli is part of the cabbage family so it has similar needs to cabbage and cauliflower. While it’s true that broccoli grows best in full sun, it can still produce a decent harvest in partial shade. This is especially true if we’re talking about hotter climates. 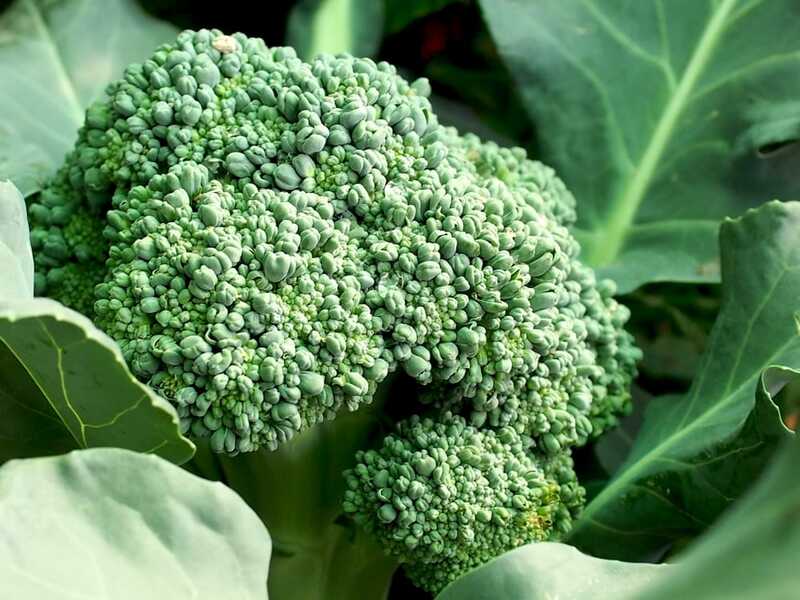 The best recipe for growing broccoli correctly is to give it sufficient water and rich soil full of organic matter. This is a vegetable that’s a bit harder to take off, but once it starts to thrive, you can count on it to come back again next year. 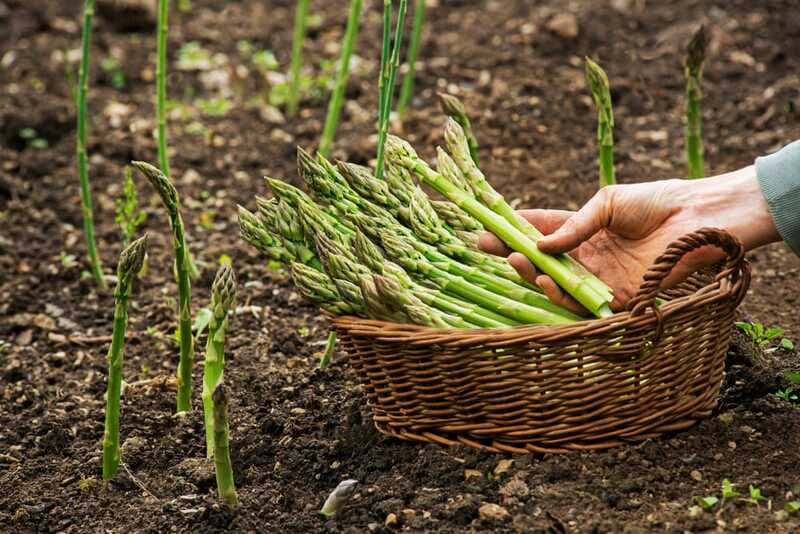 Asparagus is a perennial vegetable that will be able to deal with some shaded conditions, though yields won’t be as high compared to growing it in full sun. A very appreciated leafy green, the Mustard variety can grow well even if you only provide it with 3-4 hours of daily sun. These conditions won’t be ideal for this vegetable so you can expect a slower growth rate. One advantage is that leaves tend to be sweeter and not as tough. This leafy plant is relatively easy to care for and the sight of it in the garden makes it a visually pleasing addition, particularly in the cool season. Mustard greens are great vegetables to grow in the shade given how they’re so densely packed with vitamins and antioxidants. 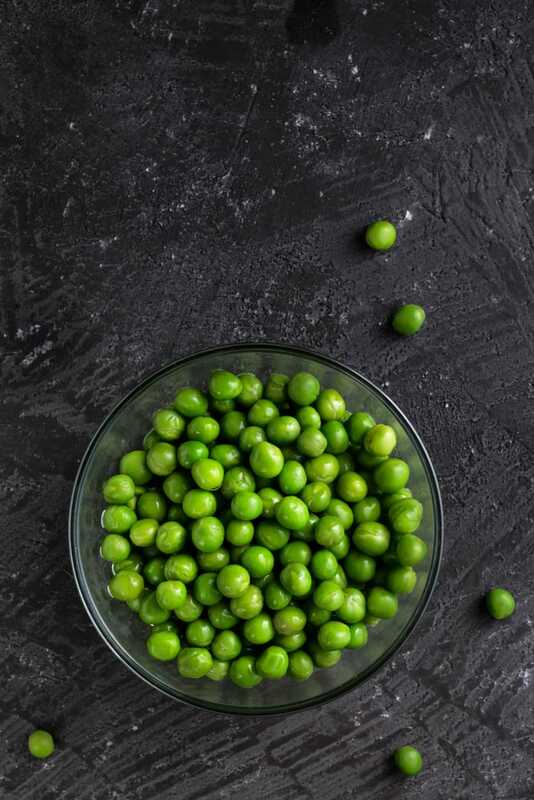 Similar to beans, the pea plant can tolerate some amount of shade better compared to other vegetables. If you choose to grow them in container gardens you will be surprised by how fast they can thrive with minimal maintenance. For best results, full sunlight works best of course, but peas can still manage just fine with partial shade. Given their love for cooler conditions, peas should be planted early in the season. Harvesting before it gets too hot outside is another essential step to obtain a solid crop of peas. This plant won’t take up too much space in your vegetable garden and it’s known for its preference to climbing up supports like a trellis. 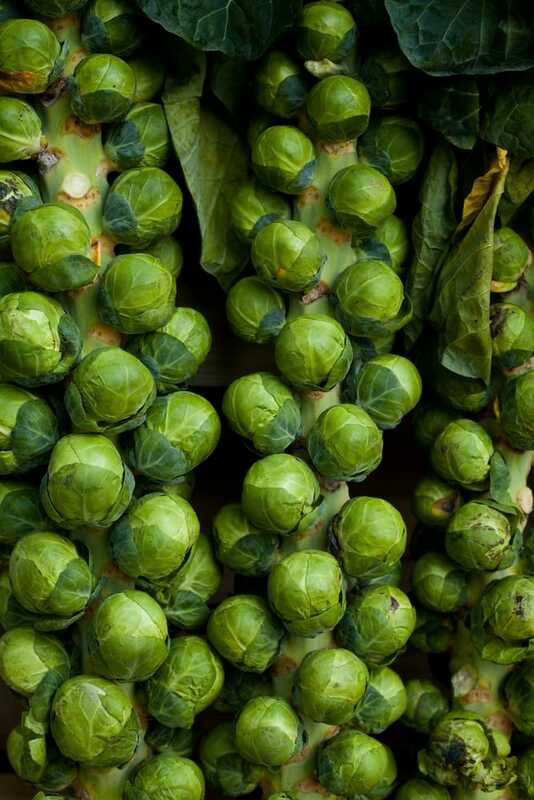 Brussels sprouts take a considerable amount of time to grow, but it’s an ideal vegetable for your shaded garden. It’s capable of handling the cold season very well as it thrives better under these conditions compared to hot climates. Having brussels sprouts in the garden is quite a sight as you will be able to watch the little vegetables mature. If you’re looking to maximize the shadier spot of the vegetable garden, this plant can be an ideal match to be planted between rows of bush beans and peas. 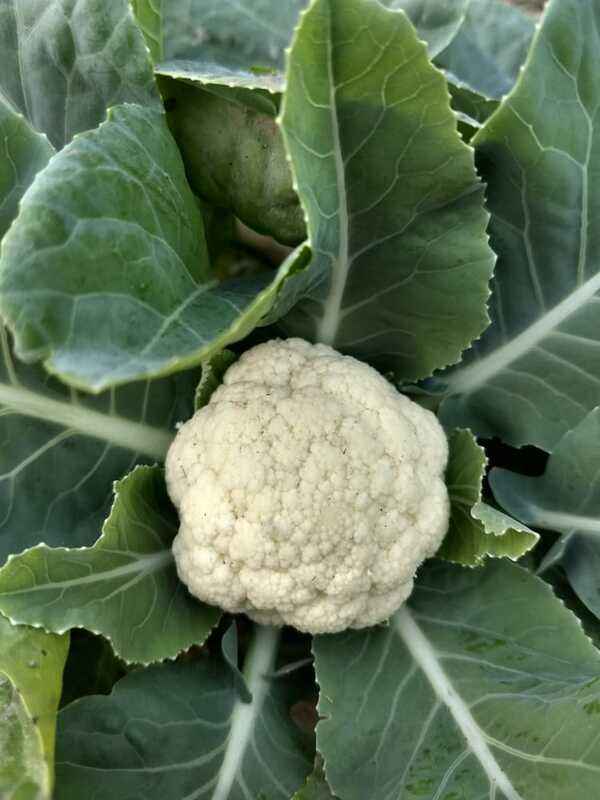 Another member of the cabbage family of plants, cauliflower enjoys the cool weather and offers a distinctive nutty flavor. It looks similar to broccoli, except it has a white flower bud. While cauliflower can be grown without problems in the shade, this is a sensitive plant to temperature changes. To obtain that sweet cauliflower taste and white color, you will need to blanch it. Growing cauliflower successfully means you need to guarantee consistent moisture for the plant because otherwise, heads will become bitter. Even with some extra effort required for growing cauliflower, the fresh taste of this vegetable could be worth it. 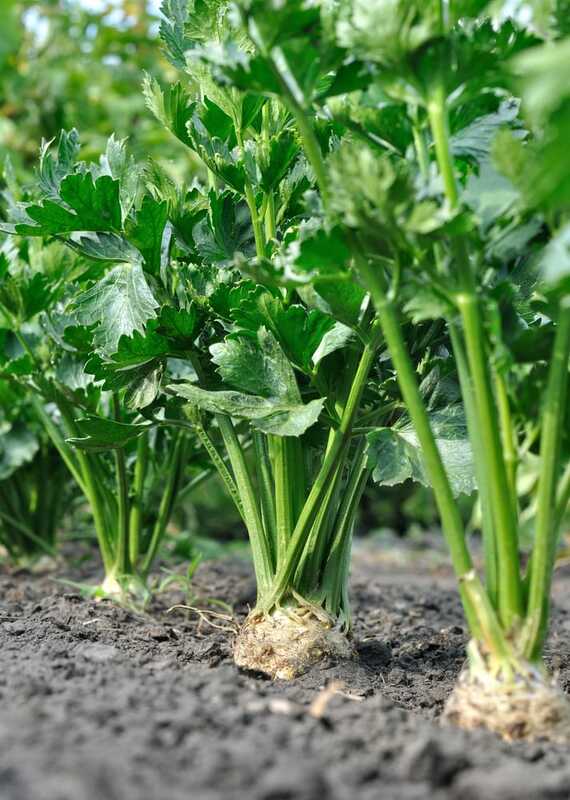 Even though some people experience difficulties with growing celery under certain conditions, this plant could be a nice addition considering its preference for cool weather. This can often mean that celery likes some partial shade to thrive. Ideal areas for growing celery are those that get plenty of morning sun followed by afternoon shade. 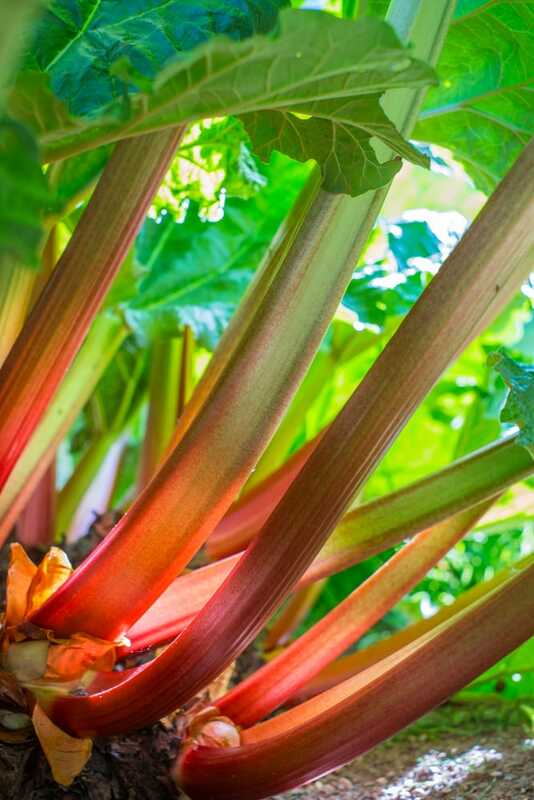 Rhubarb requires a great amount of time to develop completely, but once it gets going, you can enjoy it every year larger and larger. This could be a lovely vegetable to plant in the garden due to the striking red color of its stalks that can act as an accent. Rhubarb can be used in lots of ways in the kitchen and it can be incorporated into desserts as well. Partial shade may have a slight impact on the growth potential, but the plant can still produce when placed in a shadier location. Just a few hours of daily sun should be enough for spinach to thrive in your vegetable garden. This plant is a bit sensitive to very hot summer weather so it likes cooler temperatures of spring and fall better. Baby spinach is a nice variety to plant in the garden given how you can include it raw in any salad. 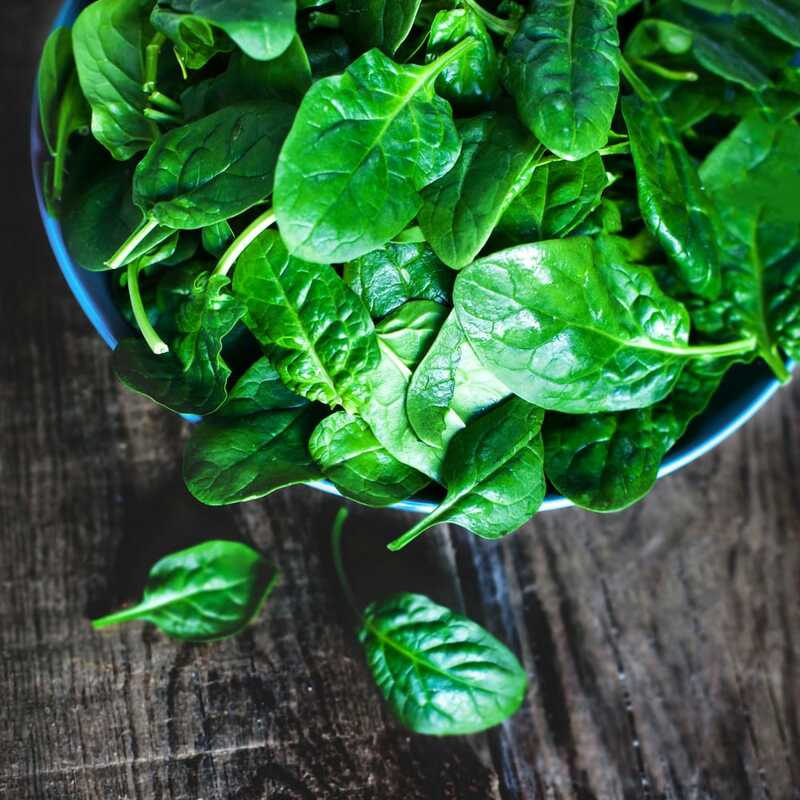 Similar to other leafy green vegetables, spinach is packed with lots of vitamins and minerals as well as powerful antioxidants. The plant has a nice, distinctive taste that lots of people appreciate, whether eaten fresh or cooked. 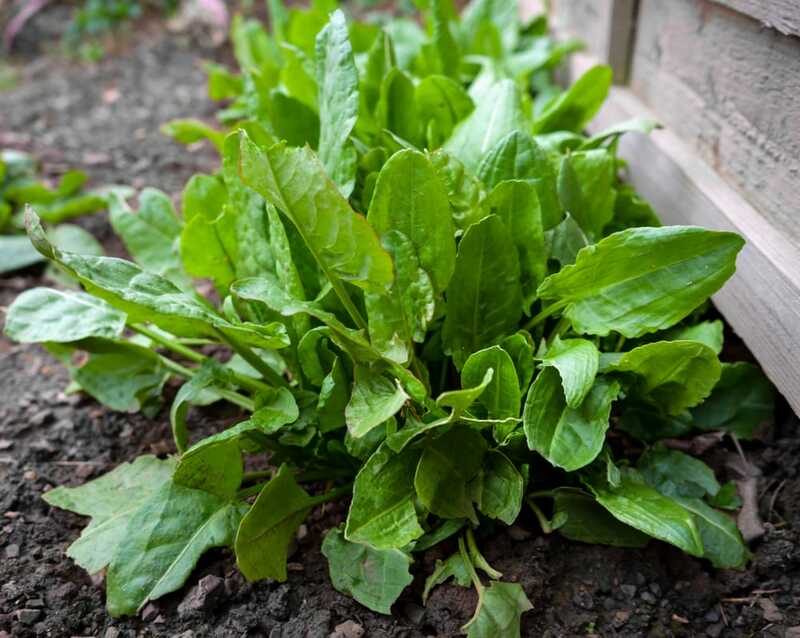 Spinach is both a fast-grower and heavy feeder that likes well-draining soil. You can grow turnips in cooler temperatures so that usually means that a bit of shade can actually have a positive effect on this vegetable. One nice advantage of planting turnips is that both the greens and the roots can be eaten allowing for more versatile uses. 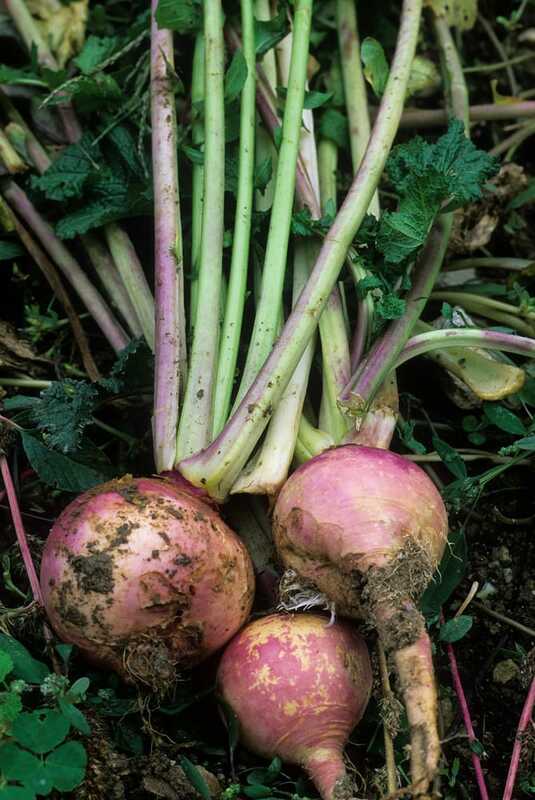 You can grow turnips in the spring and fall without too much difficulty. Just make sure you provide it with well-draining soil. Home gardeners will also appreciate the ability of this vegetable to mature very rapidly. They’re able to germinate in a matter of days and in approximately one month, you will be able to take advantage of their green leaves. Within one more month, the roots start to take shape. 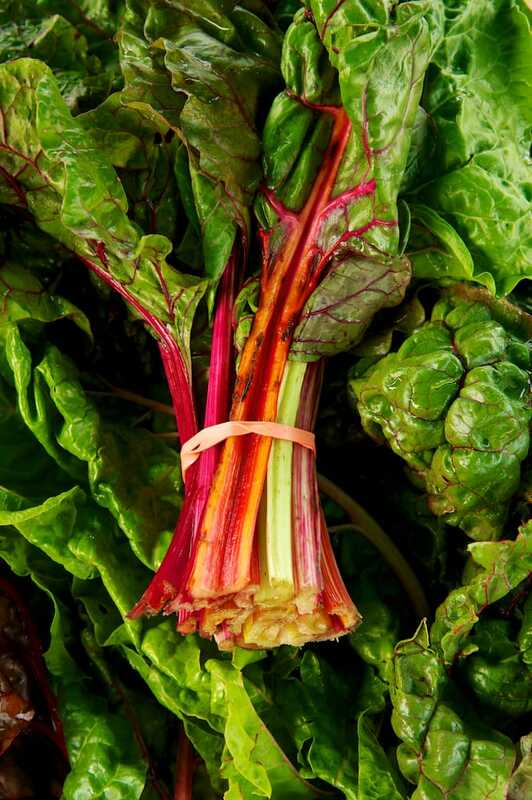 Part of the Beta vulgaris plant family, Swiss chard is one attractive vegetable in terms of both visuals and maintenance. It’s an easy plant to grow as you can sow the seeds directly and enables you to cut leaves without worrying about the plant dying. New leaves will simply appear in their place. Swiss chard is a biennial plant so that means you will have to overwinter it to ensure it’s protected during the cold season. One of the most appealing features of this vegetable is the elegant color which can enhance the look of the shadier spots in the garden. 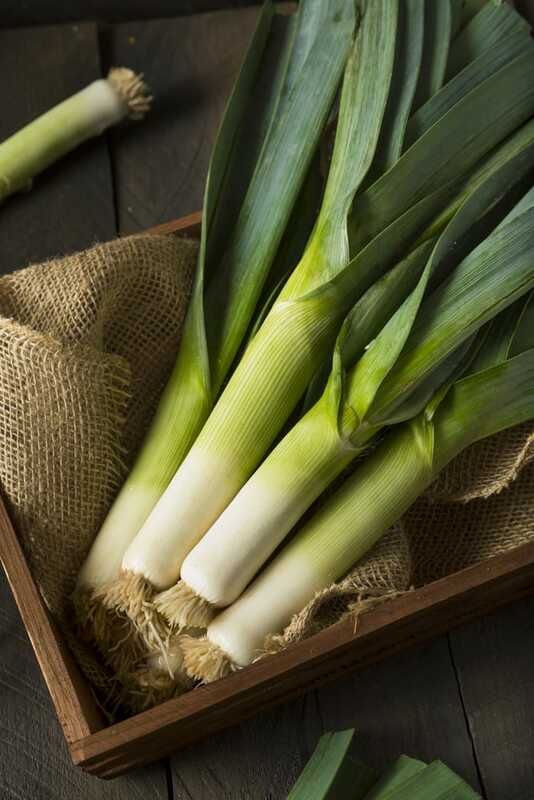 Part of the garlic and onion family, the leek is a shade-tolerant vegetable that you can add to your garden if you’re a fan of scallions as it’s very similar to them, only larger. Leeks will grow quite nicely on shady plots in the garden. Even though they do require adequate sunlight, they can still cope with some afternoon shade. If you want to expand your garden with a large leek crop, consider going for the hardier varieties of this vegetable, such as the Autumn Giant. Given how potatoes grow under the ground, they aren’t exactly sensitive to shady moments of the day. The potato is arguably the most versatile vegetable you can grow in the garden considering the countless ways you can cook them and incorporate into recipes. Other vegetables that grow in a partial shade such as beans and spinach represent good companions for potatoes. 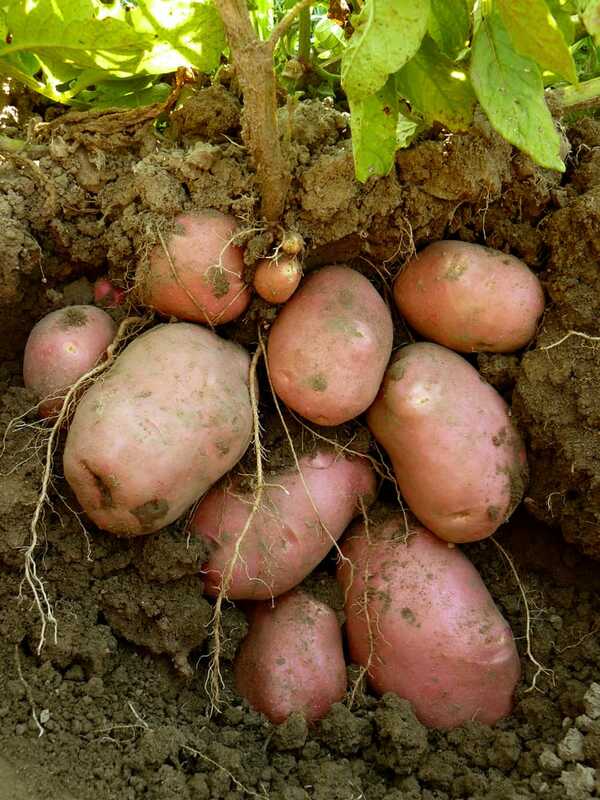 Another reason to consider adding some potatoes in the shadier spots is that it’s fun to dig for potatoes. If space comes at a premium, maybe placing them into containers represents a better growing solution. When it comes to growing leafy greens, few are capable to flourish as quickly as Arugula. 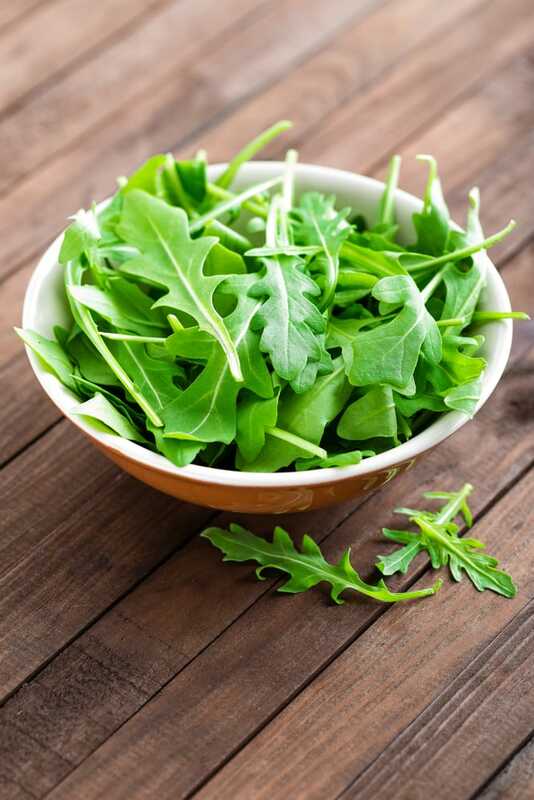 With its specific taste and odor, Arugula is one must-have salad addition for many people, though there are also people who don’t like the distinctive characteristics of this vegetable. 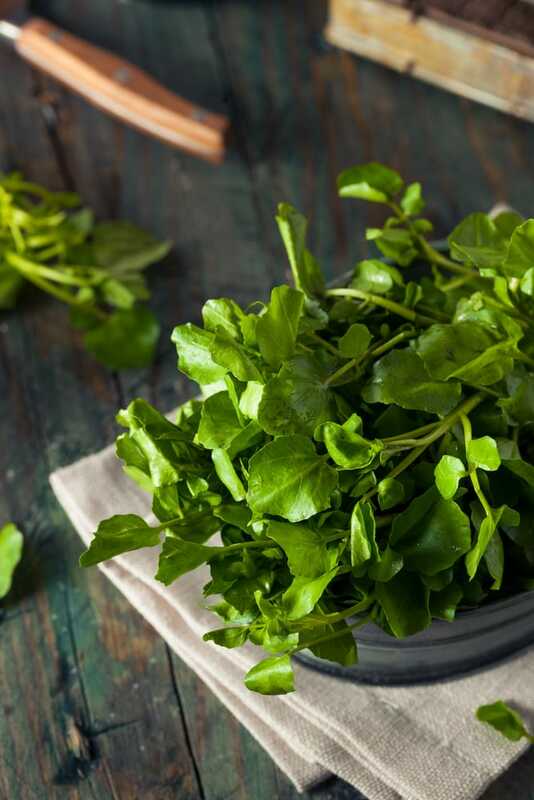 If you love its refreshing bite, Arugula won’t have issues with some partial shade. You can add it as a Pizza topping as well if you like its peppery taste. One area where Arugula works great is in pots as it represents an ideal addition to your container garden. 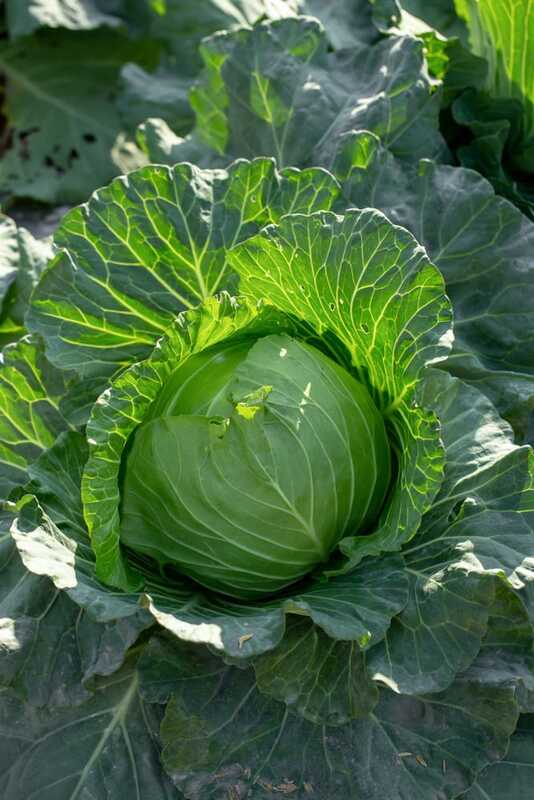 Cabbage is one great crop to have for the shadier plots of any garden. Cooler temperatures can help this plant as it doesn’t have to fight against as many bugs. Grow cabbage in the summer in partial shade and you should have decent results. It’s also worth mentioning how you can prepare lots of winter comfort food like roasted cabbage or homemade sauerkraut. 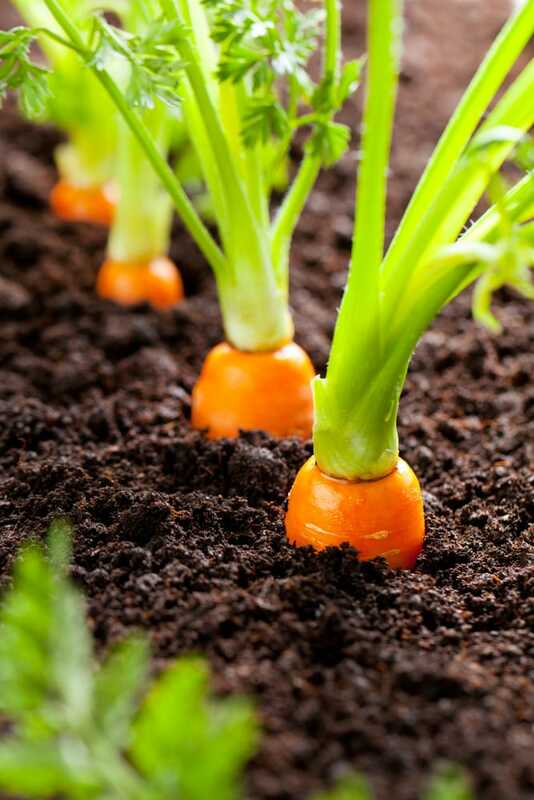 Carrots are root vegetables so a lack of sun won’t affect it as strong as it impacts other plants. Partial shade might even have some benefits as carrots love cooler temperatures. 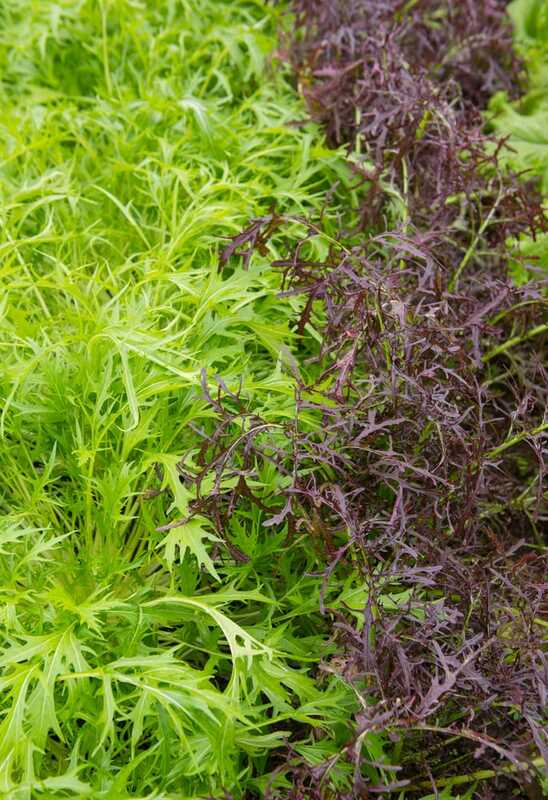 If you can’t get your hands on some pest-resistant varieties, make sure you don’t squash the leaves of your carrots during the process of thinning out seedlings. Carrot flies will take notice of the scent. Kale favors containers and has some hardy qualities that enable it to thrive in cooler soils. This means it can do well even when it needs to deal with partial shade. This leafy vegetable is part of the cooking greens category and is well known for the impressive amount of nutrients it possesses. The curly kale leaves can also provide an ornamental effect given how they will grow in shades of green and purple. The mature plant can manage more than a bit of light frost and it can actually gain a sweeter taste due to the cooler environment. 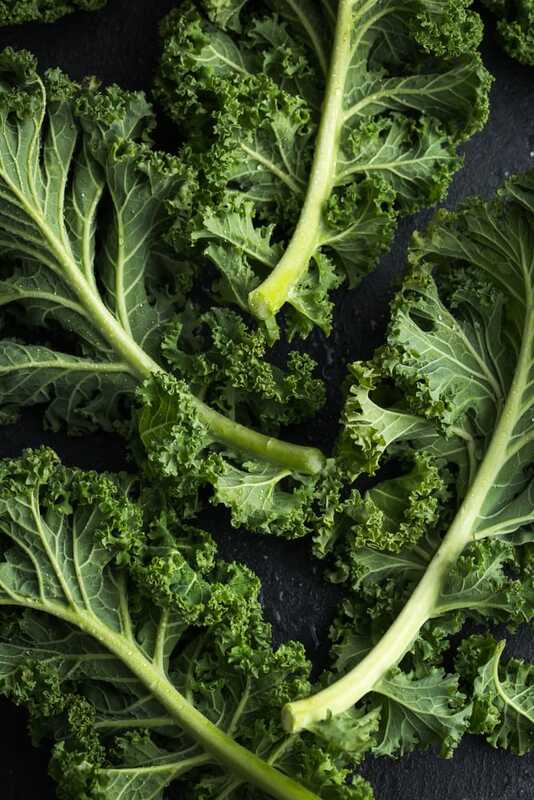 Moisture also has a strong contribution to maintaining a healthy kale plant so be sure to have them well-watered if you wish to retain their crispness. Cichorium endivia is a plant that can produce tasty leaves with smaller doses of daily sun. During hot times, such as midsummer, endives can take advantage of the partial shade to prevent setting seeds. Similar to arugula, cress, and other vegetables favored by salad lovers, endives will grow well in pots. 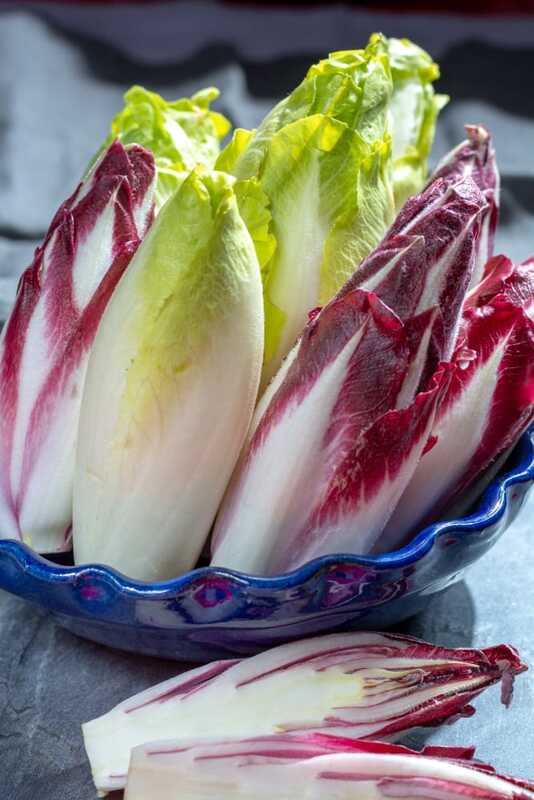 The slightly nutty flavor of endives makes it suitable for raw salads and cooked dishes. If you’re willing to learn the difficult process to grow it, this low-calorie vegetable could be very rewarding thanks to its complex nutritional profile and pleasant taste. 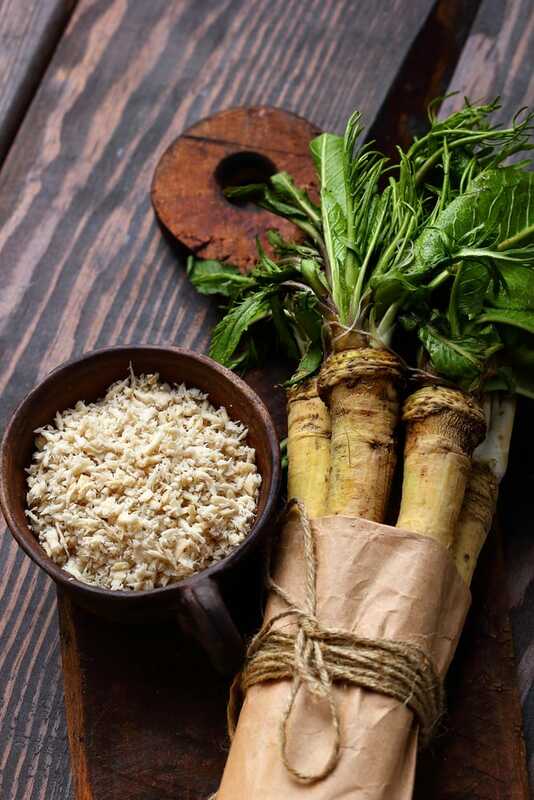 Some people really enjoy the spicy flavor of horseradish and if you’re one of them, you will be pleased to find out that it can be successfully grown into the shade. Homemade horseradish sauce will definitely taste better if you use fresh produce from your own garden. Full sun allows this vegetable to grow to its full potential, but light shade conditions won’t pose too many problems for it either. Consistently waterlogged soil works best for horseradish, and make sure you find a permanent spot for this plant as it doesn’t take well to moving. The classic leaf lettuce represents a must-have for any fresh salad full of raw veggies. This is a cool-season green that favors partial shade given its tendency to burn out if left in full sun. Among the planting options for these salad greens, we can count the container method or succession planting. Either way, you should be able to enjoy the refreshing flavor of leaf lettuce throughout the season. 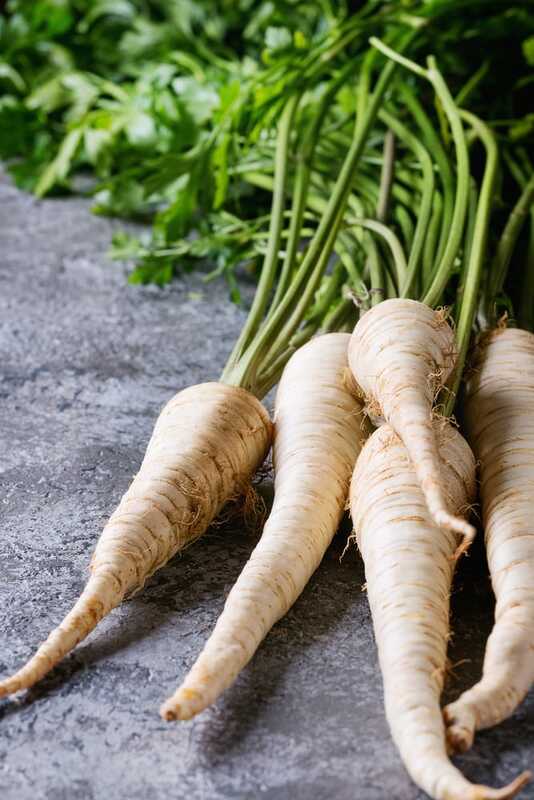 Parsnips are closely related to carrots and offer a distinctive sweet taste. They make good companions to carrots in recipes and they go along together when it comes to growing in partial shade. Parsnips are hardy vegetables and require a long growing season. This vegetable can be left in the ground when the temperatures drop, but it’s important to harvest the crop before the soil becomes frozen. Roasting the parsnip roots with a bit of honey makes for an irresistible snack. Not many people are aware, but radishes are able to tolerate quite a bit of shade. This root vegetable can be tasty when eating raw on its own. 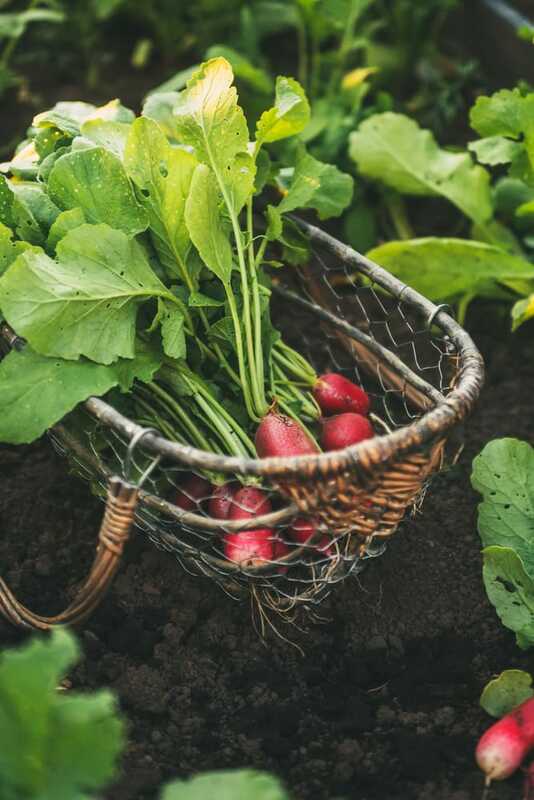 As it also gives you some greens, radishes are must-have additions to any vegetable garden. In terms of varieties, radishes won’t disappoint you as they can be found in a multitude of different sizes and colors. Bringing more varieties of radishes in the same shadier spots makes for a more interesting-looking garden. Some types of radishes will mature very quickly while others prefer the chilly temperatures of the fall season. Watercress is another tasty leafy green vegetable that can be added in lots of ways to your dishes. Any salad lover out there is familiar with this plant. Its name comes from the fact that it can thrive in slow-moving water. Don’t worry though, watercress is highly adaptable and can be grown in different ways, including in partial shade. This perennial vegetable has leaves and stems that offer a hint of peppery taste. Growing watercress is possible either from seed or transplants and the only stringent requirement of this plant is consistent moisture. Make sure you harvest the plant before the plant blossoms because the flavor can get ruined. 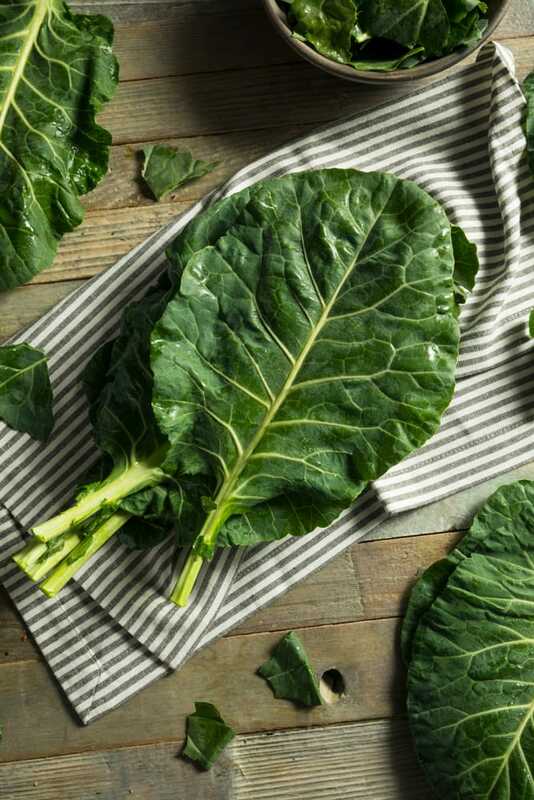 Collard greens are a cousin of cabbage and are part of the cooking greens class of vegetables. While it can be consumed raw when preparing salads, collard greens are the tastiest in a sautéed dish. The plant can handle light shade conditions but it requires at least 4 hours of sun to obtain the right flavor. It’s a great vegetable to grow in a cold climate. 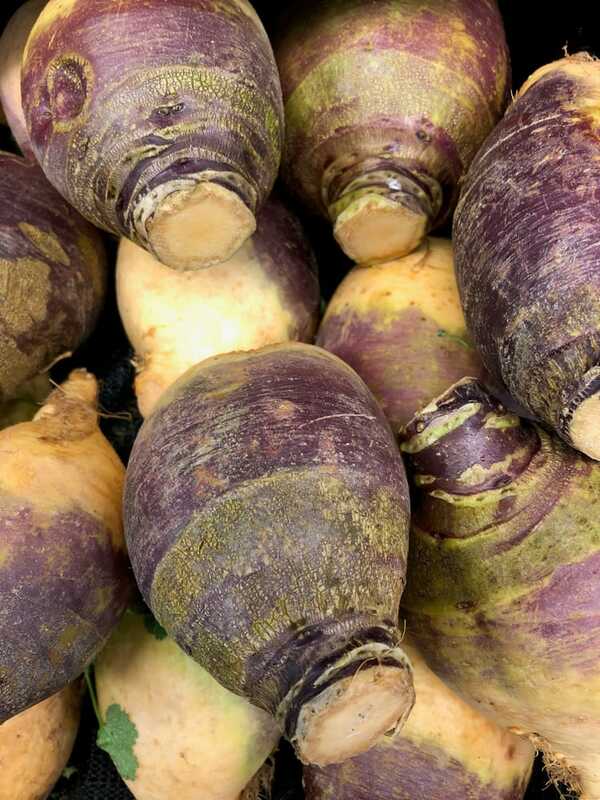 While it’s not as popular as other vegetables, rutabaga is known for its ability to grow in partial shade. It resembles a giant turnip and has its own distinctive flavor. This is a great option if you wish to try out something new for your garden. Like all the other root vegetables, rutabagas will take a longer period of time to reach maturity if you plant them in shadier plots of the garden. 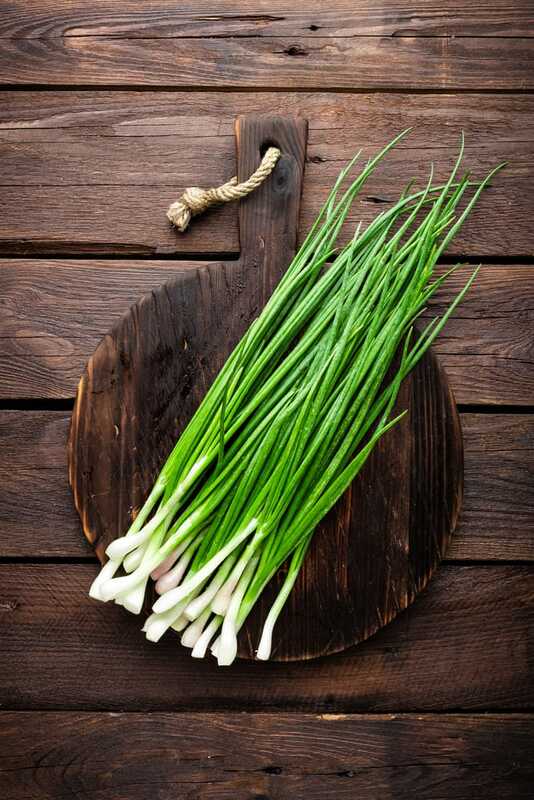 A simple and delicious garnish option, scallions bring a lot of flavor and vibrant color to any meal. These fast-growing plants are part of the onion family and are known for their capability to regrow from roots. That means you should leave the roots during harvesting to enjoy scallions again next seasons. This is an Asian green vegetable that’s exceptionally resistant to shadier conditions. Tatsoi can thrive even if it gets just two or three hours of sunlight every day. There’s no need to get intimidated by their exotic look as tatsoi greens are very simple to grow in any garden. 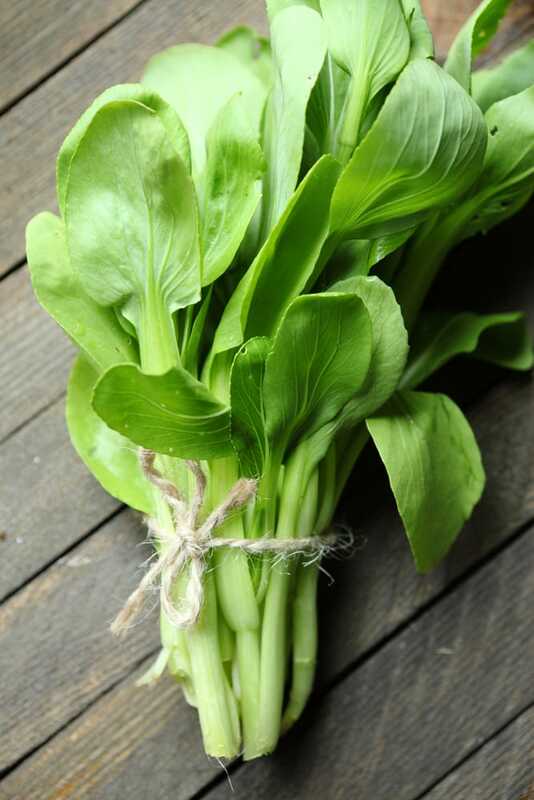 Flavor-wise, this vegetable resembles Bok Choy, but when it comes to looks, the rosette is much flatter. 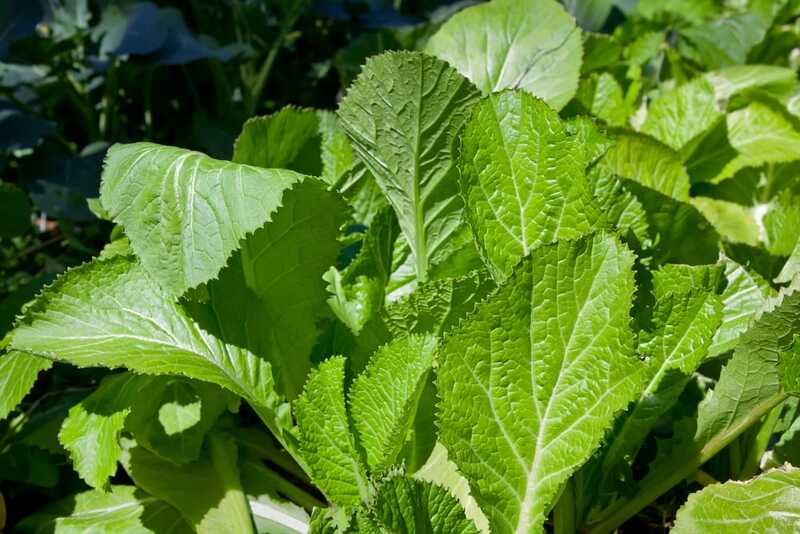 Full sun can be detrimental to the health of tatsoi so if you’re looking for an ideal vegetable to grow in partial shade, this is a strong candidate. The Japanese mustard green Mizuna has the kind of flavor that works great for salad mixes. If you’re interested in its pleasant bitter taste, it’s good to know that you can easily grow it in partial shade. Mizuna is closely related to turnips and it’s incredibly easy to grow and maintain. 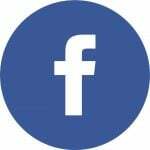 This is a biennial plant that grows in full sun but has small sunlight needs, so you can grow it in shadier garden plots as well. It’s recommended to harvest Mizuna greens before they start to flower if you wish to keep the flavor intact. 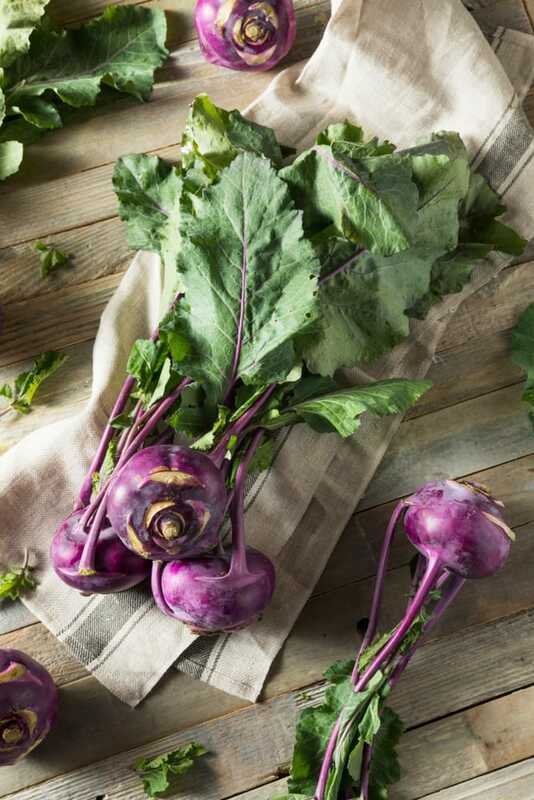 While it isn’t as common as other vegetables, Kohlrabi is one interesting option that can be grown in partial shade. The taste may not be to everyone’s liking, but if you like broccoli and cabbage, it’s safe to say that you’ll love Kohlrabi. The purple stems can be eaten raw in salads or cooked in stews or roasted. Another great thing is that you can eat the leaves of Kohlrabi. The plant grows best in cooler weather and it reaches its mature potential in the fall so that’s the recommended time to plant it. Spring garlic can be grown pretty well in the shade though bulb garlic will most likely have some issues and won’t be able to grow to full size. Some garlic varieties are better adapted to face colder climates. 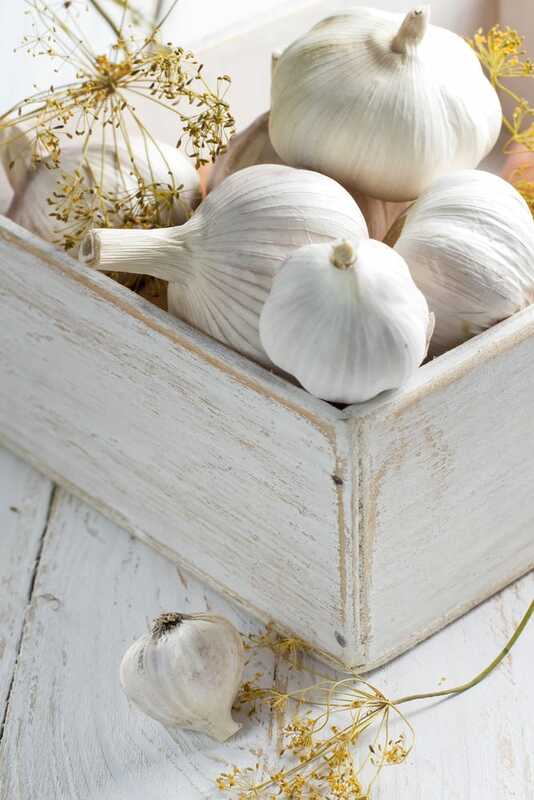 In general, garlic doesn’t have high sunlight requirements, but it needs rich, well-drained soil to flourish. 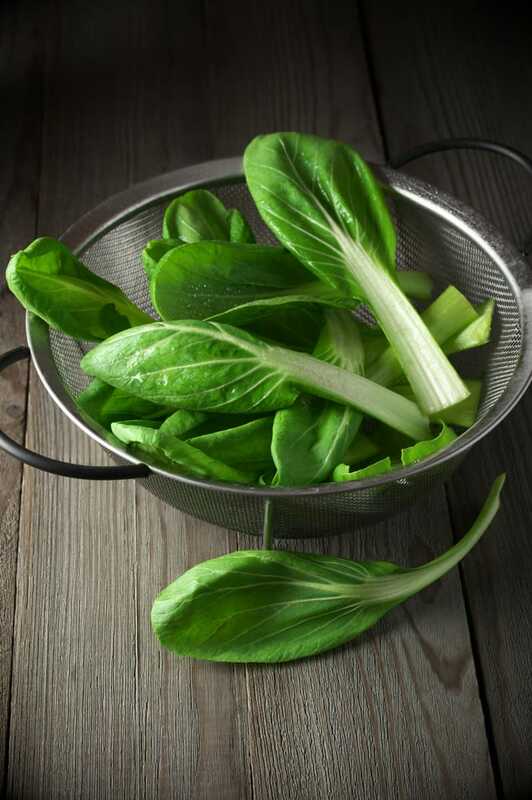 Bok Choy is a fast-growing plant with crisp stalks and smooth leaves. It’s a very popular vegetable in Chinese cuisine and you can learn to grow it in your backyard garden without too much effort. This vegetable is a type of Chinese cabbage that’s fairly winter hardy and prefers partial shade to full sun. There are many uses for Bok Choy. It can be incorporated into all kinds of stir fry dishes or raw salads. Given its close relation to cabbage, it can substitute it successfully if needed. You can also try adding the vegetable to soups and stews or grill it. 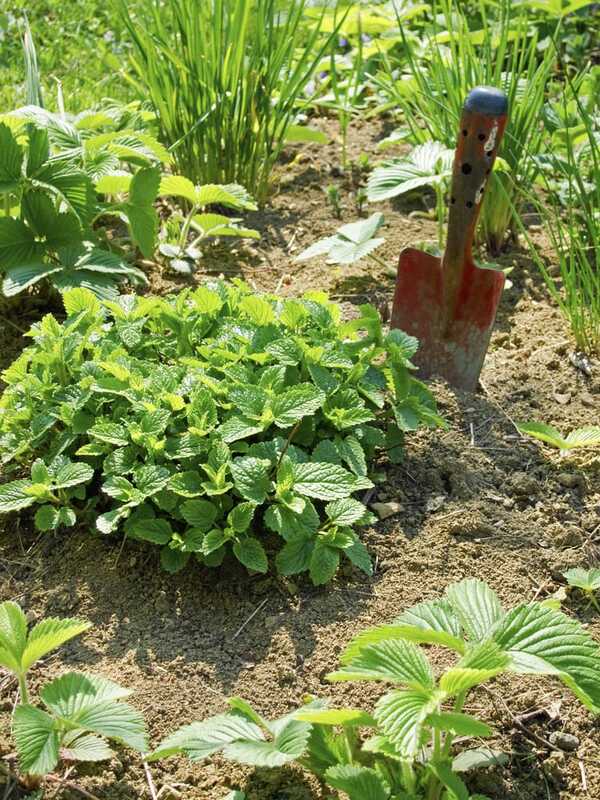 Lots of herbs can be grown on those shadier spots of your garden. 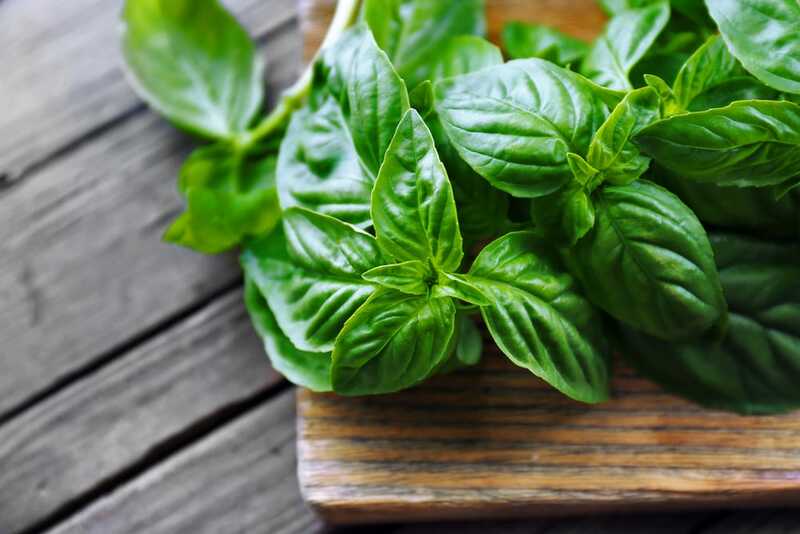 One of the best to consider is basil as it tastes amazing when you add it fresh to a dish. Fans of pesto sauce will be delighted to know that basil doesn’t have stringent sun requirements and can be grown in partial shade. 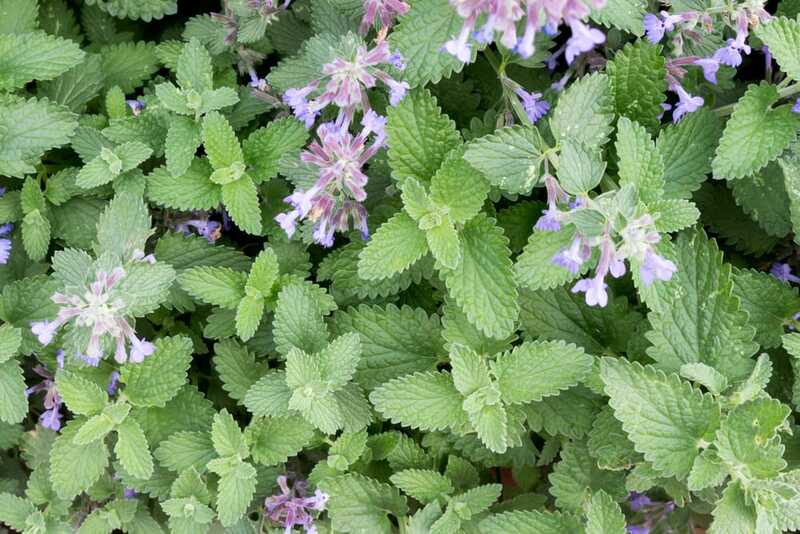 Catnip is a common herb that isn’t difficult to grow in partial shade. It has lots of interesting uses as it can decorate your garden and can be incorporated into sauces and soups or used for making tea. There’s also the known effect it has on cats’ behavior. It acts similar to a recreational substance for cats, so you might also plant it just for your pets to rub and chew it. Chives can flourish in both full sun and partial shade without the need for a complex maintenance process. This plant is related to onions and will produce purple flowers. 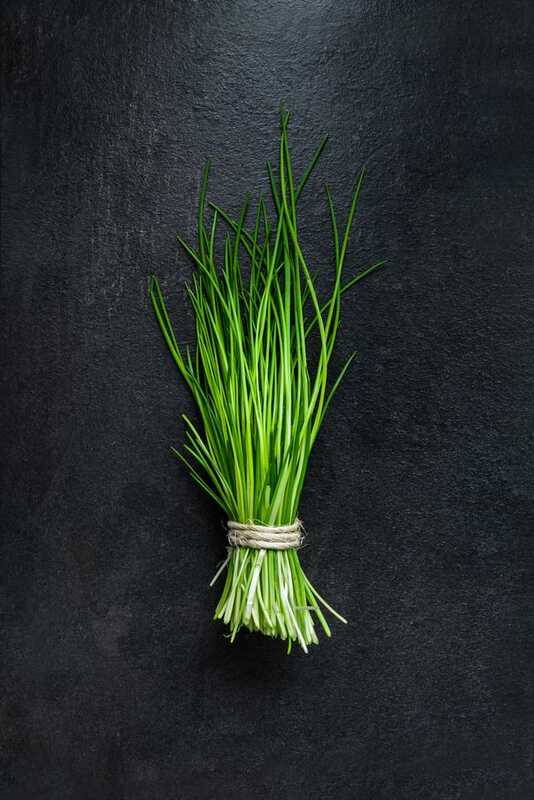 Chives have their specific flavor that can be added to various dishes. This hardy vegetable can be grown in containers and is usually not affected by diseases or pests. It has moderate water needs and once the plant starts to thrive, it will become capable enough to tolerate even drought times. 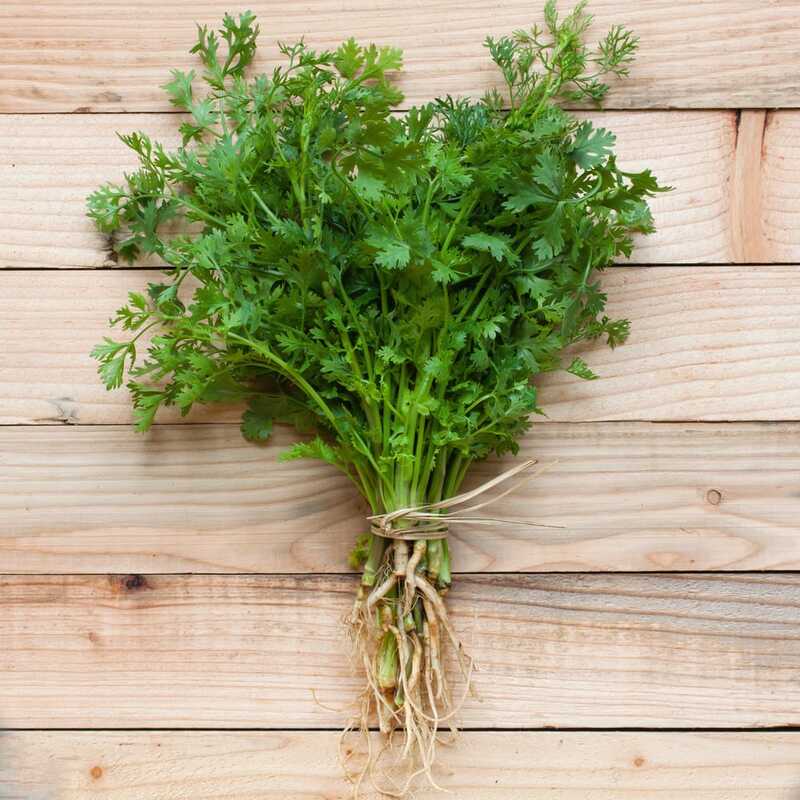 Coriander and cilantro are names for parts of the same plant. The seed is called coriander while cilantro is the aromatic leaf. Both parts are used for their pleasant flavors that can spice things up in dishes. While it’s usually recommended to go for a sunny site when planting this herb, there shouldn’t be too many problems if you go for a shadier spot in the garden. A member of the mint family, the lemon balm herb looks similar to peppermint, but it has a distinctive lemon smell. This bushy plant is amazingly easy to grow, and you can use its leaves for teas and potpourris. Given how it grows in almost any kind of soil and can handle a bit of shade, lemon balm represents a good choice to add to your garden. In fact, once established, this plant can become invasive if you don’t remove its flowers. Among herbs that grow in partial shade, we can certainly include mint. This isn’t a picky plant and it can offer some extra benefits to your garden besides the ability to make flavorful teas and extracts. Mint is known for being able to drive away pests like mosquitos so it might be useful as a natural barrier of protection for the garden. Arguably one of the most versatile herbs you can grow in your garden, parsley can find its way into a wide range of dishes. It’s capable of dealing with partial shade, but keep in mind that parsley is a slow starter. The bright green, feather-like leaves of this herb are rich in iron and vitamins. You can store fresh leaf stalks for longer if you put them in the fridge in water. 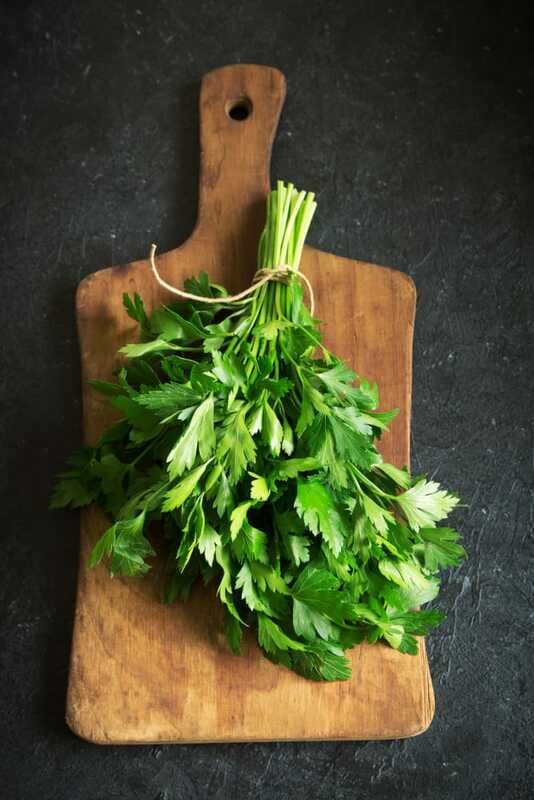 Another great way to use parsley is by drying it as you can store it for longer. 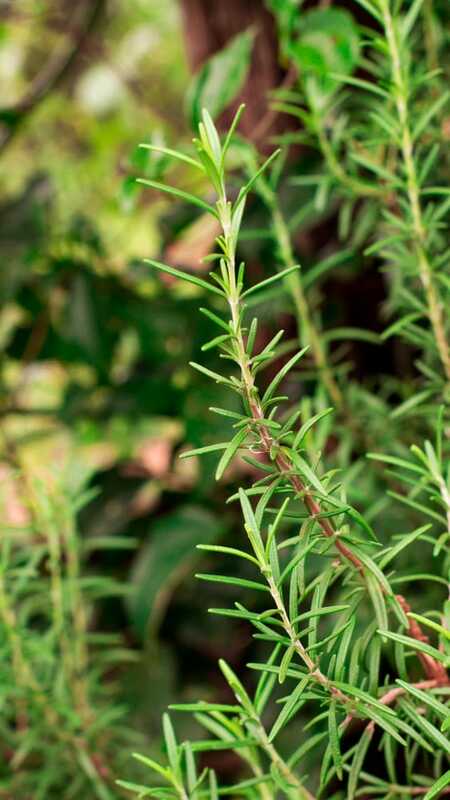 With its strong flavor, rosemary has its own special place among aromatic herbs. You can grow it in partial shade so don’t forget to add this perennial evergreen shrub to your garden. It can be used for seasoning a vast range of dishes such as soups and stews. Rosemary plants need quite a lot of room to grow so they may not be suitable for smaller garden plots. 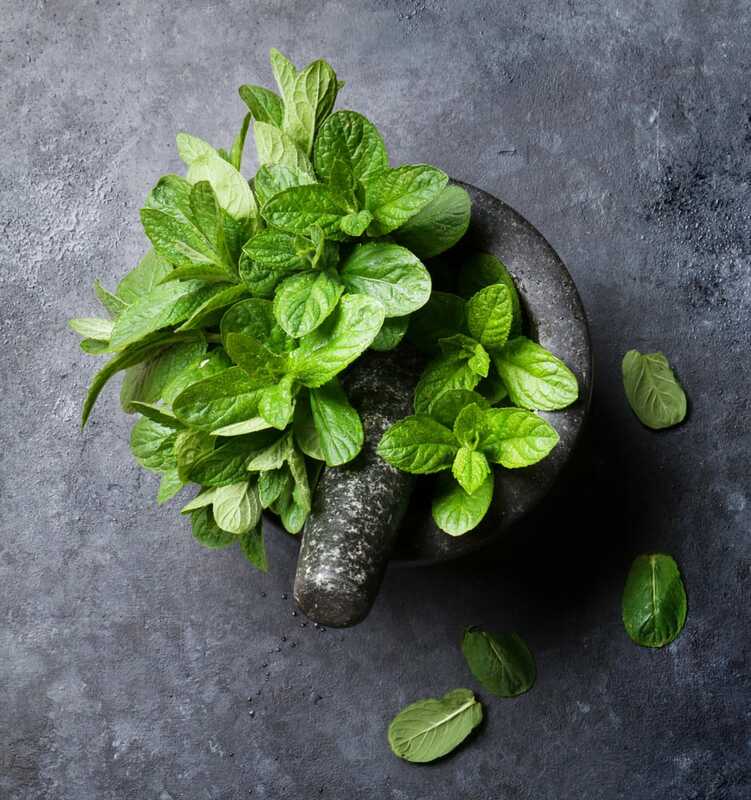 The good news is that it’s such a flavorful herb that you won’t need a lot of leaves to season food with its distinctive sweet and resinous taste. Some people view sorrel as a herb, others as a vegetable. It’s similar to a leafy green and it can definitely be considered underrated given its uniquely tart, lemon flavor. Sorrel can enhance any salad with its fresh leaves or you can incorporate it into your cooking to transfer its lemony flavor to other foods. Partial shade may have some benefits for sorrel, especially during hot summers. It will still grow best in full sun, but you can get some decent results even if you use shadier locations. Just make sure the spot you choose has good drainage and provides a rich soil with a slightly acidic pH.